My Fitness Pal: This is one of the most famous apps in the market. It not only tracks on your weight and fat but also recommend daily calorie intake you must 58 have to adapt if you want to meet your desired body shape or fitness. It has a web interface, which depicts your current body weight and gives an estimation of weight gain or weight loss you are going to have in near future. you can select either recipe provided by software or you can also select your custom dishes. This app will tell you that that how much calories were in the food you have eaten. and how you are feeling at the moment. Lose It: This health app has different diet plans and exercises logs as well. It will get you age, height, current weight and proposed you with the perfect plan, which will turn your body into your desired shape. You can also get weight loss or weight gain stats in the form of a graph. Fat Secret: This is also a free counter app. 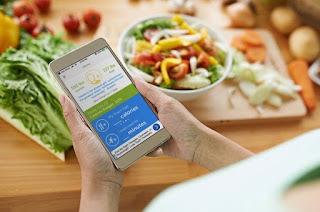 This app can give you monthly stats of calorie intake showing per day consumption. This app has a very strong community. you can meet chat people, ask them for their success stories and know how they accomplish this. You can also accept challenge in close group to lose weight. Cron-o-meter: This app let you decide the category for your weight goals. It might be the paleo diet, low-carb diet or a low-fat vegetarian diet. It has a very simple and easy to use interface especially dealing with micro nutrients like vitamins and minerals. 0 Response to "Calorie Counter to Lose Weight new 2019"